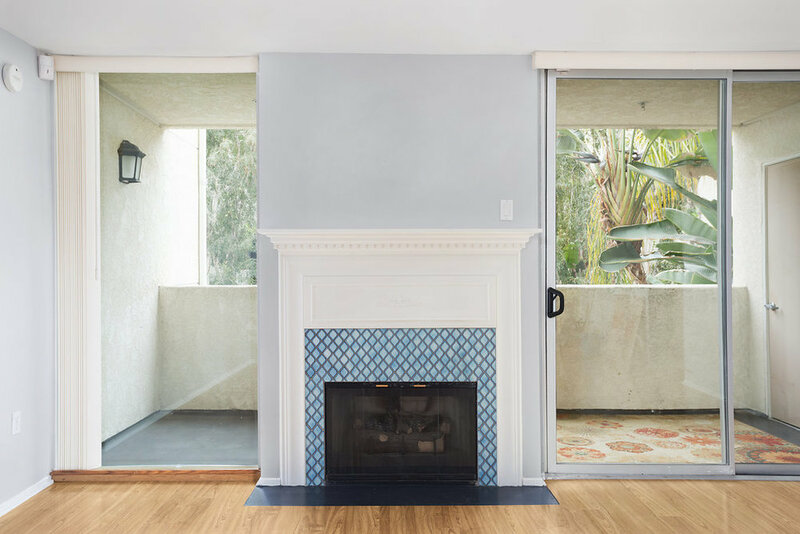 Exceptional 2+ 1 condo in beautiful Park Encino. 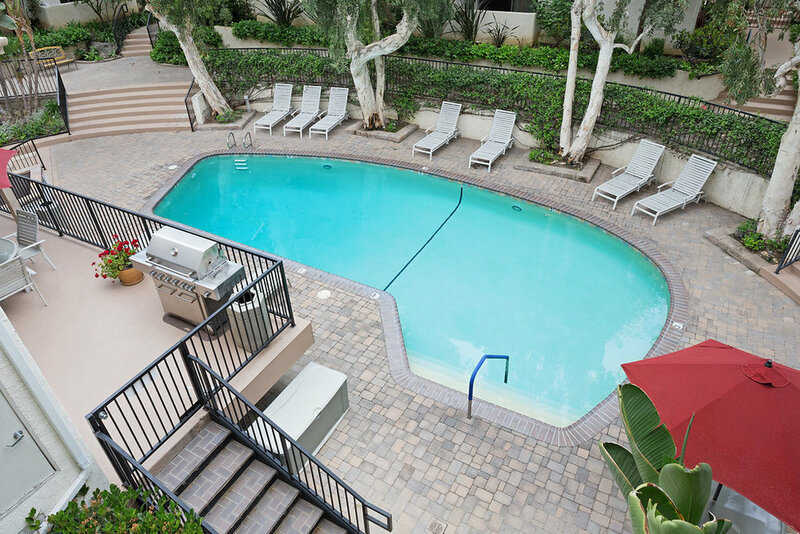 Best location in the building overlooking the lushly landscaped pool area. Open living space with lots of natural light and tiled fireplace. Kitchen has gorgeous butcher block counter tops, designer tile and comes with a full-size fridge. The bedrooms have generous storage space and share a full bath accented with tasteful gray cabinetry. The spacious patio is peaceful and serene and has additional storage space. Comes with two assigned parking spots in secure garage. Entrance secure with part-time security guard. HOA fee includes water. Building has tons on amenities including a gym, recreation room and updated lobby. Don't miss this incredible opportunity!